Roman Shades are another way to introduce the warmth and texture of fabric or natural products while keeping it neatly enclosed within the window frame. Choose from hundreds of fabrics to create the feel and vision that you are looking for. Romans come in a variety of styles from flat to billowing. Roman style shades are also available in what is referred to as a woven wood or natural shade. This style uses bamboos, grasses and sticks interwoven with colored cording and threads to create patterns. 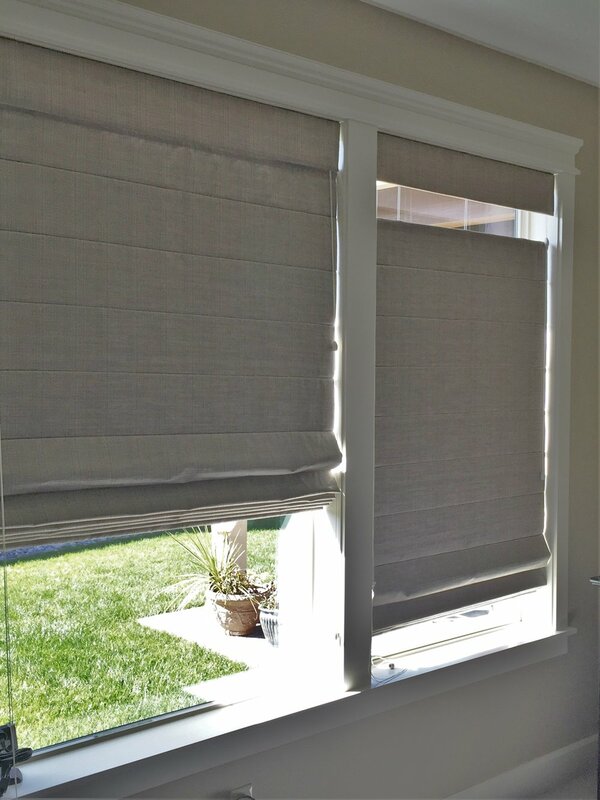 Roman shades can be lined with a light filtering or room darkening option. 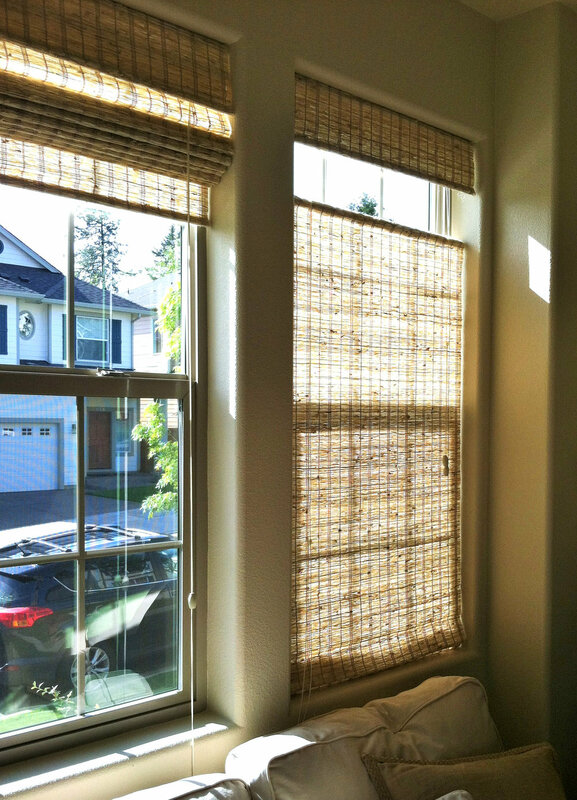 They can have the traditional valance or use a cassette head rail or just have the fabric face. Add the top down bottom up lift system for added privacy and control.